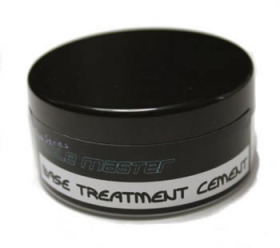 Prism Gamings Tablemaster Series of Base Treatment Cement is specially formulated to work with Prism Gamings other modeling tools. It goes on very smooth and easy, dries completely clear, and can be sanded, painted and covered with clearcoat. This cement will wash out of your application brushes with Warm Water alone! Stop ruining your brushes, and check it out today! A full 4 ounce container!